One of my best habits is running. It is good because I’m consistent. I usually run about five miles, five days a week. Sometimes I run further and sometimes as little as four miles. It is good because it pumps my heart rate to about 144 beats per minute from my resting rate of about 50 beats per minute. It is good because it raises my respiratory rate, giving me a healthy cardio-vascular work-out. Aside from all that goodness, it opens my day with the fading stars and a rising sun. It lifts my spirit for what is to come. My brain is filled with the sweet sound of fast-tempoed music or a really good story, depending on my mood. Then, when I shut off my headphones, my soul finds peace as I pray to my God for my family and friends, students and teaching, my writing, my dreams and goals, for my day, and to ask forgiveness and for a clean slate, and to give thanks for beauty and blessing and the fullness of life. This summer, one of my goals is to climb Mt. Meeker. 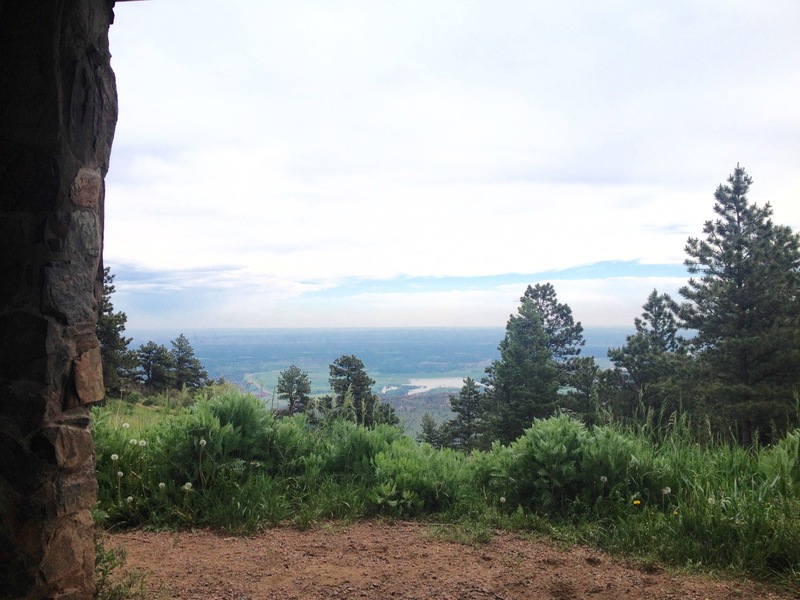 I’ve added hiking to my week-to get up to the mountains with my dear friend, Elaine, and hike. Once a week would be great, and so far we have. But when harvest time comes, that may not be so possible. 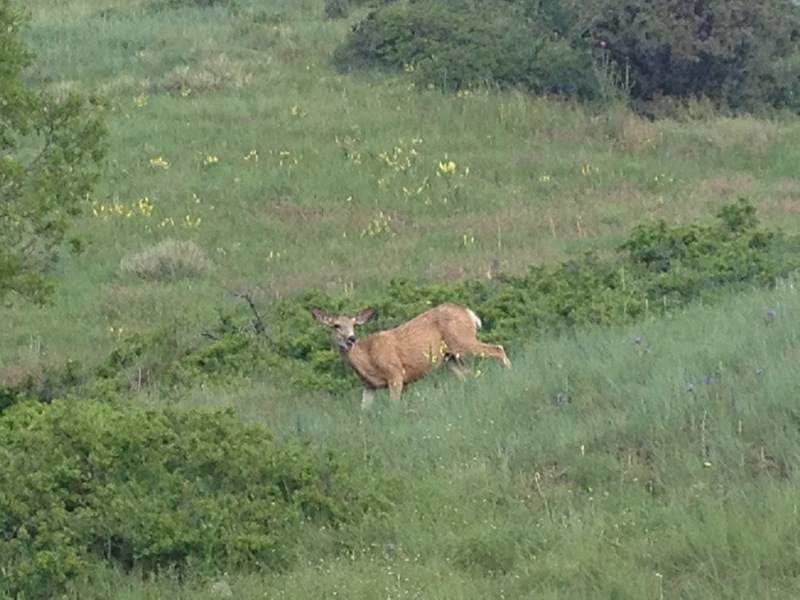 This week, we hiked in the abundant company of deer, turkey, hummingbirds,wild flowers, and many cyclists. Our Fitbits went nuts! 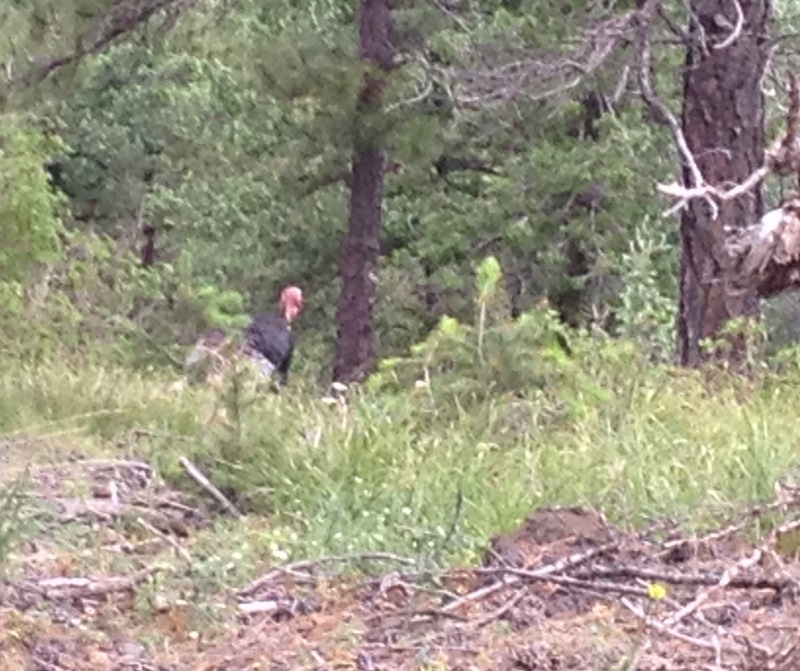 This entry was posted in Uncategorized and tagged deer, Fit bit, hike, running, wild turkey. Bookmark the permalink. Wow… gorgeous setting… and what a wonderful goal… thanks for the inspiration!